The humble incandescent lightbulb is an invention just about anyone born in the 20th Century is more than familiar with. But it’s not the be all and end all of lighting technology – there are neon lights, compact fluorescent bulbs, and even LEDs are finally being adopted for interior lighting. But with the endless march forward, there are vintage throwbacks to the past – how many hipster cafes have you been to lately with great big industrial-looking filament bulbs hanging from the ceiling? Even when switched off, they have a striking appearance. However, that’s not all history has to give us. These gas discharge bulbs from yesteryear are absolute works of art. The bulbs contain delicate floral sculptures in metal, coated with phosphor, and the bulbs are filled with neon or argon gas. Applying mains voltage to the electrodes inside the bulb causes the phospor to fluoresce, creating a glowing flower that is hauntingly beautiful. These bulbs were manufactured by the Aerolux Light Company, from the 1930s to the 1970s. Once upon a time, they could be had for as little as 20 cents a bulb – nowadays you’re likely to pay over $50 on eBay or Etsy. The bulbs work by the glow discharge effect, not at all dissimilar to garden variety neon lamps. While it’s not easy, it is possible to make your own vacuum tubes. Maybe it’s time to order some phospor powder and a tank of neon and get to work? Be sure to document your attempt on Hackaday.io. Thanks to [Itay Ramot] for the tip! Tindie, the etsy for electronics and DIY projects is growing up. After growing 300% in August, the creator of Tindie, [emile], is now working full-time as the head of Tindie, LLC. Intended to be a place to connect makers with homebrew project connoisseurs, Tindie is seeing new projects and builds added every day. [emile] figures since some Tindie contributors are using the platform as the source of their livelihood, the least he could do would be to focus his energies into turning Tindie into a profitable and sustainable enterprise. From the humble beginnings of an empty storefront, Tindie has grown large enough to feature some very cool projects such as a GoPro time lapse control board, a CNC router control board, a LiPo charger the size of a USB plug, a Raspi case milled out of a billet of aluminum, and a gag gift we wouldn’t want to take through airport security. Not bad for a web site that only launched a few months ago. 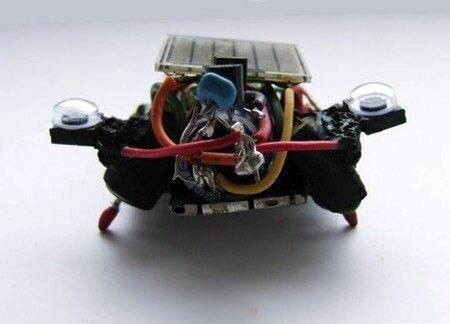 Etsy places a spotlight on tinyminds, creator of the much-hyped solar robots. [Jenny], the brains behind tinyminds and self-described “all round nerd and non-stop crafter”, claims to draw inspiration for her BEAM solar bug and monster robots from things as varied as paper and wood. She describes the process of creating her robots and working with solar energy as “magical”. The fact that they’re solar-powered is a huge advantage – these “pets” never die and never need recharging, only light. Her Cthulhu robot was linked to by BoingBoing Gadgets, and is unfortunately sold out at the moment. tinyminds has plenty of other inventive, equally inspiring robots available for purchase.